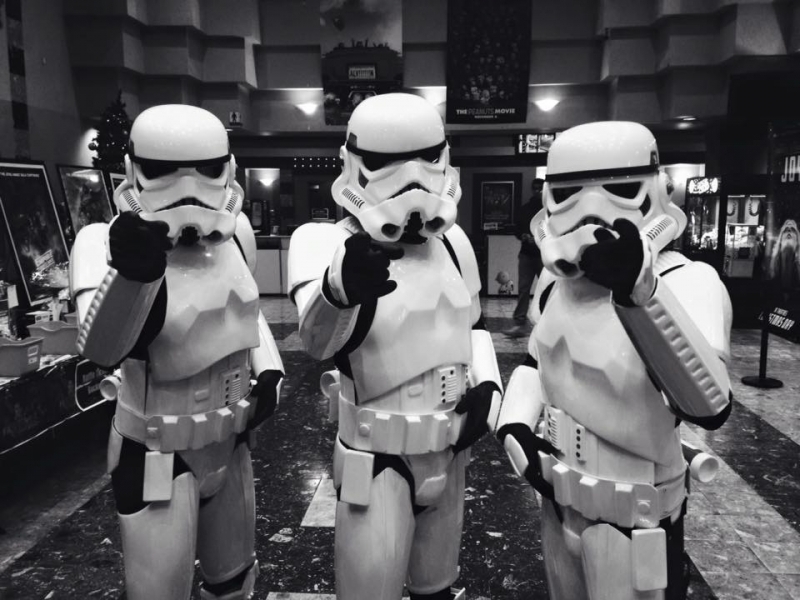 Oakville, ON, December 21, 2015 – The Oakville, Milton and District Real Estate Board (OMDREB) held a fundraising event ­­– a private screening of Star Wars: The Force Awakens – to continue supporting OMDREB’s president’s charity; the Nanny Angel Network. OMDREB staff and volunteers welcomed ticketholders who walked through the doors of Film.ca Cinemas at 171 Speers Rd. at 9 a.m. All guests were greeted by Stormtroopers and local vendors, who were prepared with bouts of Star Wars paraphernalia. In total, OMDREB sold 400 tickets to Members and non-members alike. Various local brokerages sponsored the stupendous event and specialty vendors Hollywood Canteen from Toronto and Conspiracy Comics from Oakville were at the event with fan gear. Because of its success, OMDREB will reprise the event when the next installment of Star Wars hits theatres.